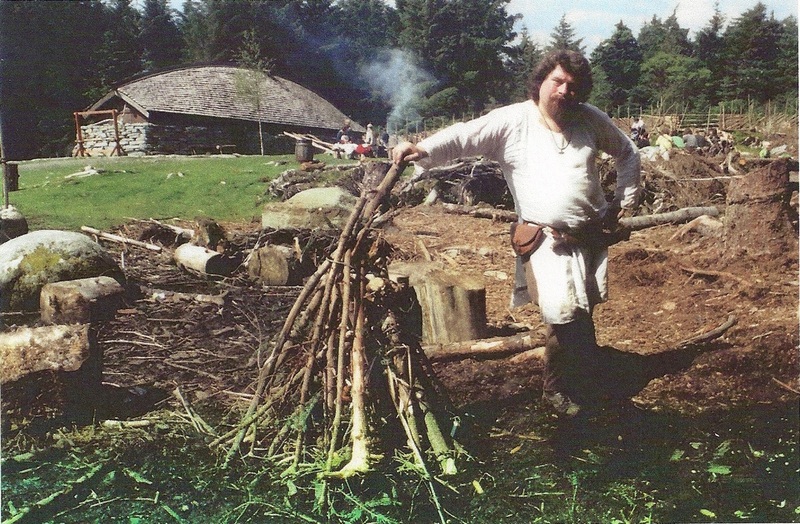 I have been a historical re-enactor for over 20 years (and here is a picture of me about 20 years ago to prove it!). I have specialised in the Late Romano-British and Early Medieval period, taking part in Late Roman, Saxon and Viking events throughout the UK and in Norway. 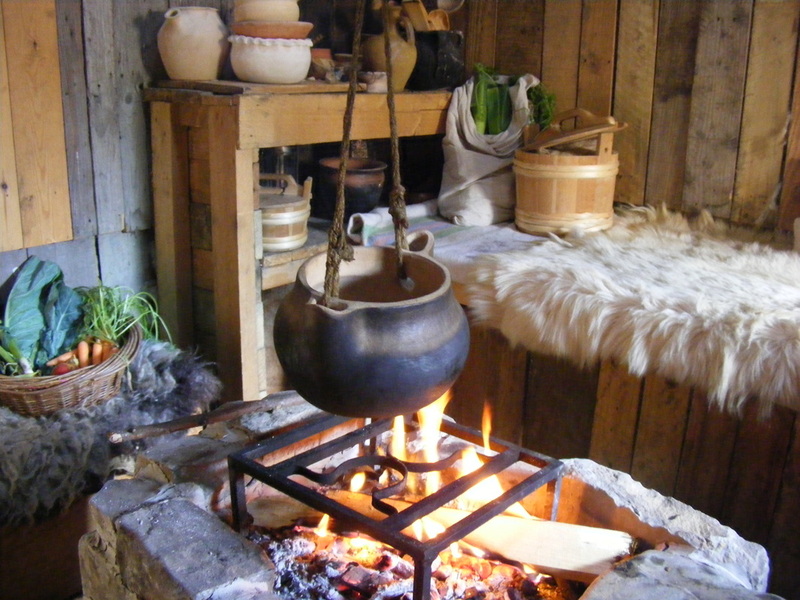 During this time I have researched and experimented with the pottery styles and production techniques of the period and offer a variety of re-enactment and museum quality replicas. I use a variety of clays to try and match as closely as possible the type used originally to reflect colour, texture and inclusions. I have also experimented with grass tempering (horse poo!) 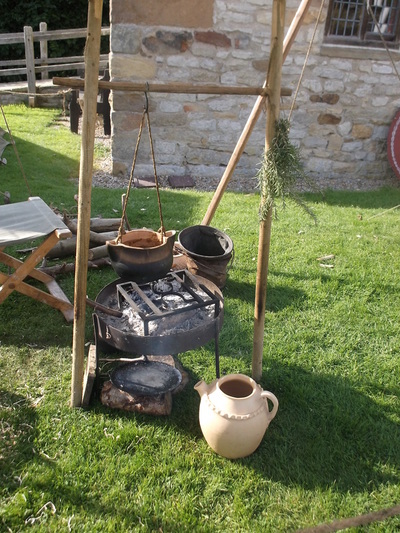 and dug, prepared and used local clays. The pottery produced for re-enactment can all be used and is fired to a high temperature in a modern kiln. 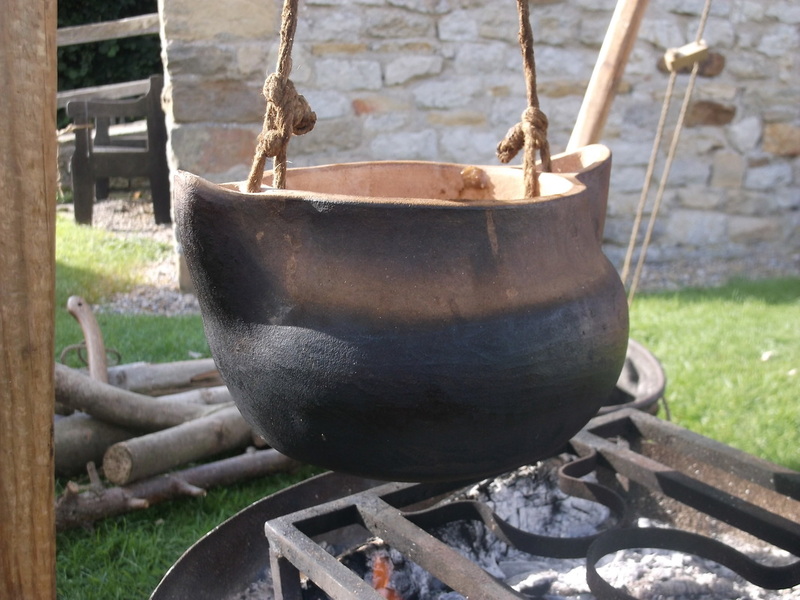 However, to replicate the blackened smoky effect obtained when firing in a clamp kiln I can do a second "smoke firing" which involves placing the pottery in a large metal container filled with saw-dust, wood, paper etc and setting it alight. I can then "clamp" this off by replacing the lid and once the combustible material has burnt down the resulting effect produces beautiful swirling patterns reminiscent of those seen on original pieces, however this effect is quickly produced by use over a fire for cooking.. I can use a food safe clear glaze on the interior of the pottery if required, but this does not work well if the pots are to be "smoke fired" as well. The pottery is all based on original pieces, however none is an exact copy. Please check the site regularly as I will be adding more pictures and details over the next few weeks. Replica based on a Lincoln Kiln-type shelly ware pitcher from the Late Saxon Kiln site at Silver Street, Lincoln.. This replica displays an applied cordon decorated by finger pressing. 25cm (H) x 21cm (D) at widest point approx. Replica based on distinctive type of cooking pot where the rim is formed into 2 spout-like projections or lips on opposite sides of the pot. The pot can be suspended using a thong or rope which is protected from the fire by the lip. It dates from between the 9th and 11th century and examples in England have been found in Essex, East Anglia, East Yorkshire and Cornwall. In Europe examples have been found in Holland, Germany and Denmark. 10cm (H) x 8cm (D) approx. 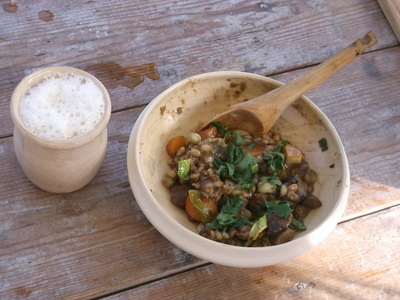 Plain, functional eating or food preparation bowl. Basic flat bottomed 2 person cooking pot. Hand coiled from heavily groged clay to help protect from thermal shock, with interior glaze. Basic flat bottomed 4 to 5 person cooking pot. Hand coiled with interior glaze, suitable for water, beer, wine etc. Based on late Saxon shelly ware from 10th to 11th century. Hand built with interior glaze, suitable for water, beer, wine etc. Please contact me to purchase any of the historical pottery on this page. I accept paypal, cheques or bank transfer and will charge packing and postage at cost. As most of these items are made to order, please allow at least 4 weeks for delivery. If you would like a replica of a specific piece of Dark Age pottery, please contact me to discuss your requirements and for a quote.